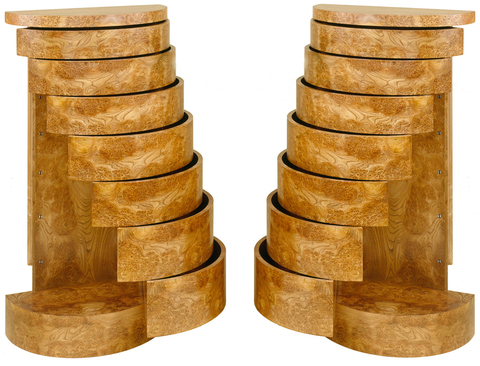 Two half circular chests, each containing 7 drawers that flare open. Elegant and timeless. Approximate lead time of 12 to 14 weeks.